1. Be realistic about what you can afford – Set expectations for your travel budget that are feasible and attainable. While splurging on travel can be tempting, it will only create financial stress after your bags are unpacked. 2. Start a dedicated travel fund – It’s easier to save when you have a specific destination and plan in mind. Think about where you want to go, research how much it costs and develop a consistent saving plan well in advance. Earn more with a Payback Savings or Money Market account! 3. Create a trip budget – Use the budgeting tool in digital banking which allows you to create a budget that tracks your spending and saving at the same time. 4. Shop around – Take advantage of the many sites that make it easy to compare fares from a variety of airlines, hotels and car rental companies. 5. Protect yourself – When ordering tickets, make sure the sites you are using are legitimate. Once on your trip, safeguard your identity by keeping your passport, driver’s license and credit cards in a safe place away from view. Also be sure to make photocopies beforehand in case of theft. Enroll in ID Protect offered by Family Trust today! Also, you can easily turn your card on and off in your mobile app using card controls. This will help prevent fraud if you lose your card or it is not in use. 6. Expect the unexpected – Keep unknowns, such as baggage fees and transaction fees, in mind when planning your trip, and set aside an extra 10 to 15 percent of your travel budget for surprise costs. 7. Take advantage of technology – Use apps on your smartphone to digitally book hotels, check in for flights and organize itineraries. 8. Consider alternative accommodations – Home-sharing services are increasingly popular — and in some cases, they’re cheaper than hotels. Also, hostels offer lower-priced lodging. But make sure you take the right safety precautions by researching the area beforehand and keeping an eye on your belongings. 9. Use cheaper transportation – Compare the cost of airfare with gas prices — if you can drive to your destination, it might cost less. Also, consider public transportation as a more economical option. 10. Split expenses – Consider sharing the costs of a vacation house with friends and family to help cut costs. To help keep you safe, Family Trust offers an ID protection plan. IDProtect is a monitoring service that can help you prevent identity fraud and let you know if it happens so you can act quickly. Our Premier Choice Checking account offers this service for free. To enroll, call 1-803-367-4100 or visit a branch. 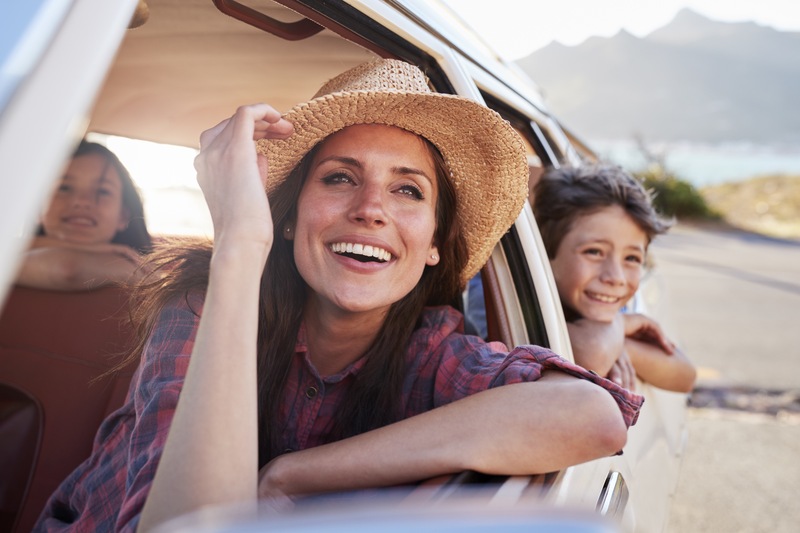 Family Trust is here to help make your dream trip a reality. Call a member support representative at 803.367.4100 or visit a branch with any questions or to open an account.